Use the contract with the itemized list of work orders as a guide. Since you agreed to this work and budgeted for it, it should serve as your guide. 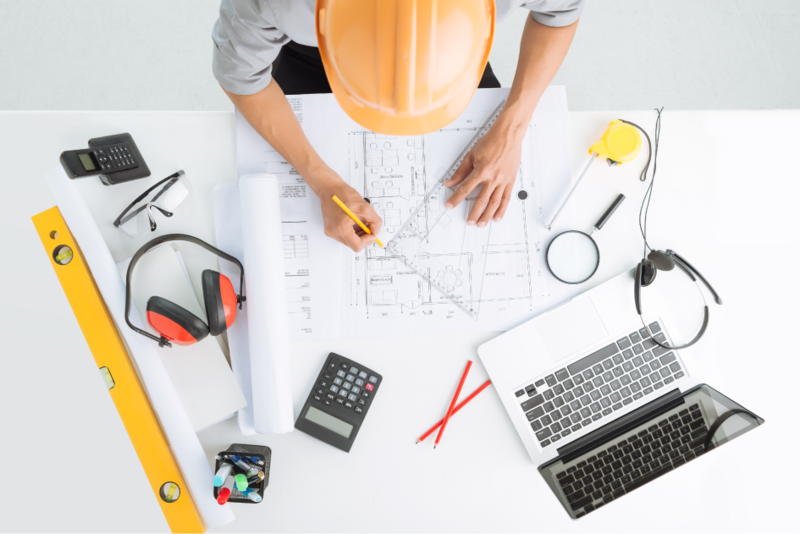 Discuss with the contractor which jobs need to be done first for your home renovations, and prioritize accordingly until you’ve gone through the entire list. Then create a separate document with a list of all the jobs, set a start and target end date for each, and include a section where you can enter the actual completion date of each task. Nail down the specifics of each job. For each job, determine if you need to bring in a subcontractor or additional labor and if so, who will be responsible: you or the contractor. If materials need to be ordered or purchased, decide which suppliers to use and who will be responsible for ordering, purchasing, and picking up the materials. If materials need to be delivered, agree who will be present at the property to sign off on them. Create an area to store materials. In order to keep the property safe and accessible, it’s best to set aside a designated area to store the materials you’ll be using. This can be a garage, a room, or even a shed—so long as it’s dry, free of pests, and offers sufficient space. Find out which permits you need—and get them! You’ll likely need one or more permits, depending on where you live and precisely what work will be done. Oftentimes, the contractor will offer to take care of this. However, it’s advisable to do it yourself, because ultimately, you’re the one who’s responsible for the property. It’s important to understand that not having the right permits can have serious consequences. If a building inspector finds out, he or she will halt the project. Any home renovations that have been done without a permit has to be taken out, and you can get a hefty fine. You’ll have to start over—after applying for the necessary permits—with no way to recuperate the loss. The Federal Trade Commission (FTC) advises keeping records of all written and email correspondence you have with your contractor and subcontractors, as well as your conversations and phone calls. Keep a log of all activities, along with photos of each stage of the work. This will be useful in the event any problems arise. You should also keep any change records and copies of the work orders you’ve signed off on after completion. In addition, make sure to keep receipts of all payments and expenses, since you’ll need them for tax purposes. Taking a couple of hours to coordinate the home renovations ahead of time can mean the difference between a fiasco and a successful fix and flip project. And in the real estate business, getting it right the first time means you’ll be around for the next fix and flip project if you so choose. Any successful fix and flip project will also require the right financing. LendingOne offers fix and flip loans with low rates, high LTCs and ARVs and closings in as little as 10 business days. Apply now and get an instant rate quote in minutes.